If you waited until the last minute to work on your tax return or give the necessary information to your tax preparer/CPA, do yourself a favor and file an extension. Many people are afraid that extending your tax return is an automatic red flag to the IRS, but this is not necessarily true. Filing an extension does not delay payment of any taxes due – those still have to be paid by April 15 – but it does give you more time for preparation. Taking your time in tax preparation can pay off. Mistake 1: Excluding life changes from your tax return or neglecting to tell your tax preparer/CPA about them. Did you get married? Divorced? Widowed? These are all changes in filing status. Did your father move in and become dependent on you? Maybe you had a baby? Congratulations, you have another dependent and possible tax credit! Are your children in daycare now? You may qualify for the dependent care credit. Even if you changed addresses, that is also important information to have when preparing your own tax return. Mistake 2: Bad math. Some people still choose to manually calculate their own tax returns. While this may save you money, it also increases your risk of making computational errors. Double checking your numbers with a calculator can help limit these math mistakes. Using tax preparation software or hiring a tax preparer/CPA can also significantly reduce the likelihood of errors on your return. Mistake 3: Transposition errors. Even if you do use tax preparation software or a tax preparer/CPA, be sure to double check numbers – even Social Security numbers – to ensure you did not transpose, which can delay the processing of your tax return. Try to use or provide original tax documents whenever possible to avoid human error. And again, double check your numbers. Charitable Donations: Any charitable donations of $250 or more require a letter from the charitable organization for your records, but it is your responsibility to request one if you do not receive it. A charitable organization is also required to provide a written disclosure statement for a quid pro quo donation of $75 or more. For example, if you give $100 to a charity and receive a concert ticket valued at $40, you made a quid pro quo contribution. In this example, the charitable contribution portion of the payment – and the value available for deduction – is $60. However, a disclosure statement must be provided for your own records because your payment (quid pro quo contribution) was $100, which exceeds $75. If you think you will donate personal property (excluding stock) to a charity totaling $5,000 or more for the year, check with your CPA before making the contribution. You may need to have a qualified appraisal of the donated property in order to claim the deduction on your tax return. 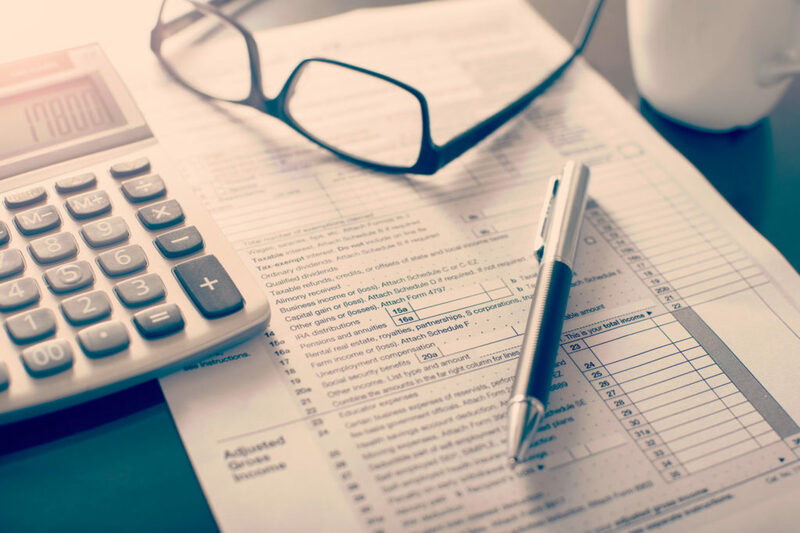 Unlike some charitable giving documentation that is only needed in case of an audit by the IRS, a qualified appraisal may need to be submitted with your tax return. Medical Expenses: Obtaining documentation of medical expenses is usually not difficult, but going through all that documentation may be a little time consuming. In many circumstances, you can deduct your insurance premiums, co-pays, deductibles paid, out-of-pocket medical expenses and prescriptions. One time saver is contacting your pharmacy to ask for a printout of your paid prescriptions for the year. You cannot deduct amounts that are paid with pre-tax money. Business Expenses: Tracking business expenses requires more diligence on your part throughout the year. Keeping a written journal as backup to your receipts certainly helps with substantiation. Be sure to include the reason for the expense, any attendees, mileage driven, etc. If you find keeping a journal is too challenging, at least write the purpose of the expense on the receipt and, if applicable, who else was with you. Business gifts are limited to $25 per recipient (any amount more than $25 is nondeductible) per year—NOT per occasion. Remember that meal expenses are generally allowed a 50% deduction, but as of 2018, entertainment expenses are generally nondeductible. Mistake 5: Incorrectly reporting losses on wash sales. If you sell shares of ABC stock at a loss and buy a substantially identical stock within 30 days of the loss (either before or after the sale), you cannot deduct that capital loss on your tax return. This is called a wash sale. Instead, the loss you would have reported is now added to the cost basis of the new stock you purchased. Mistake 6: Deducting rental losses when not allowed. Unless you are considered a real estate professional, rental real estate is generally considered a passive activity and you are limited in the deductions and losses you can claim for the year. Unless you have other passive income, the deductions and losses are carried forward to the next tax year. There is an exception for some lower-income taxpayers with active participation (the active participation standard is easier to meet than the real estate professional standard). This special allowance may allow you to deduct up to $25,000 against your other income, but will begin to phase out when your modified adjusted gross income (MAGI) is above $100,000 and is completely disallowed with a MAGI above $150,000. Mistake 7: Forgetting to claim your 529 plan contributions. If you are a Missouri resident who has contributed to 529 plans (Missouri or non-Missouri) you own, do not forget to claim the deduction up to $16,000 annually on your Missouri tax return when filing married jointly or $8,000 if filing single. Likewise, Illinois residents can deduct up to $10,000 if filing single or $20,000 if filing married jointly for contributions to an Illinois 529 plan. This is one common mistake that CPAs make as well, so make sure to review the tax returns either after you have prepared them or after you have received them from your CPA. Mistake 8: Forgetting to deduct long-term care insurance premiums. If you are paying for long-term care insurance, make sure to treat this as such on your federal and Missouri tax returns when deducting premiums. Missouri allows you to deduct long-term care insurance premiums, even if you do not itemize deductions. Mistake 9: Forgetting your Illinois property tax credit. If you’re an Illinois resident, don’t forget that your state provides a tax credit on a resident individual’s income tax return equal to 5% of Illinois real estate taxes paid on a principal residence. This is a simple tax credit to claim, so do not forget to take it. The credit is not allowed if your federal AGI is greater than $250,000 ($500,000 for married filing jointly). Last, but not least, remember to sign and date your tax return or Form 8879, IRS e-file Signature Authorization and file your tax return by the due date. This is normally April 15, but you have until October 15 if you file for an extension. You still need to make any payments necessary, including first quarter estimates, by April 15. It’s all about the details when it comes to taxes. Taking time to review your tax returns before mailing or e-filing can save you money. Even if you hire a tax preparer or CPA, be sure to request a copy of your tax return for review before it is submitted electronically. Ask questions if something does not make sense. Don’t assume your CPA knows everything happening in your life (per Mistake 1). As always, feel free to reach out to your Moneta advisory team if you have any questions or concerns. Your Family CFO is here to help! Moneta’s Tax Planning Consultant Brighton Samet contributed to this article. © 2019 Moneta Group Investment Advisors, LLC. All rights reserved. These materials were prepared for informational purposes only. You should consult with an appropriately credentialed professional before making any financial, investment, tax or legal decision. Past performance is not indicative of future returns. These materials do not take into consideration your personal circumstances, financial or otherwise.